Held in partnership with the St. Catharines Wing Fest, the Wing Fest 5 km Fun Run takes place Sunday, August 12 at Malcolmson Eco Park and will raise funds to support Community Care of St. Catharines – a key agency that meets the needs of less advantaged people in our community. The finish line will extend all the way to Lakeside Park, where you can join wing lovers from across Niagara and beyond at Wing Fest 2018. 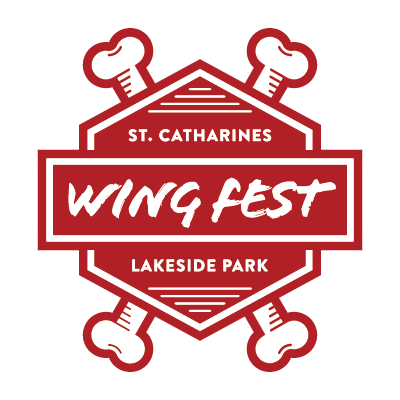 A festival to unite the wing lovers of Niagara in a venue that pulls on the heart strings of the St. Catharines community, Old Port Dalhousie. We are bringing together the best wings in the city for a showdown like no other, pitting our neighbourhood hot spots against one another in a chicken wing battle for the ages. Only one can reign supreme and take home the title of Chicken Wing Champion. Pre-registration will take place Saturday, August 11 from 2 pm to 4 pm at Lakeside Park, 1 Lakeport Road Port Dalhousie.